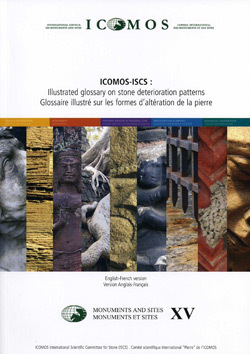 The Heritage@Risk program was endorsed by ICOMOS members at the General Assembly in Mexico in 1999. The aim of these reports is to identify threatened heritage places, monuments and sites, present typical case studies and trends, and share suggestions for solving individual or global threats to our cultural heritage. To fulfill its obligations concerning cultural properties, ICOMOS undertakes comparative and thematic studies, often with partner organizations, in different subject areas in order to provide a context for its evaluations. The Terracota Army of the first Chinese emperor qin Shihuang / Die Terrakottaarmee des Ersten Chinesischen Kaisers. The polychromy of antique sculptures and the Terracotta Army of the First Chinese Emperor.